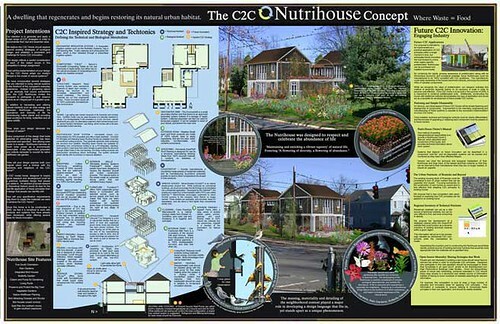 The Cradle to Cradle (C2C) Nutrihouse concept was our entry in the C2C-Home Design Competition. We were told that it was chosen for construction from over 500 entries submitted, and we recently visited the site in Roanoke. Graywater irrigations systems with a self-cleaning filter that captures and pressurizes the water, which is then released through a subsurface irrigation system. Wastewater Gardens that are designed to be on-site wastewater treatment of graywater. 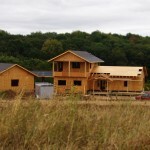 A green roof will be on a portion of the finished roof. Composting Toilets, which use no water, chemicals, or septic tanks; but rather rely on the natural processes of composting. The Roanoke Redevelopment and Housing Authority has donated the property to Blue Ridge Housing Development Corporation. 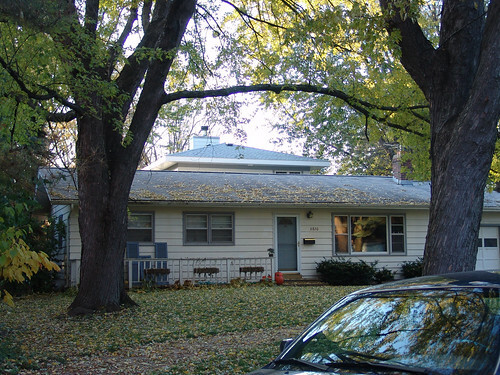 Blue Ridge Housing Development Corporation will be constructing the house on Harrison Avenue. 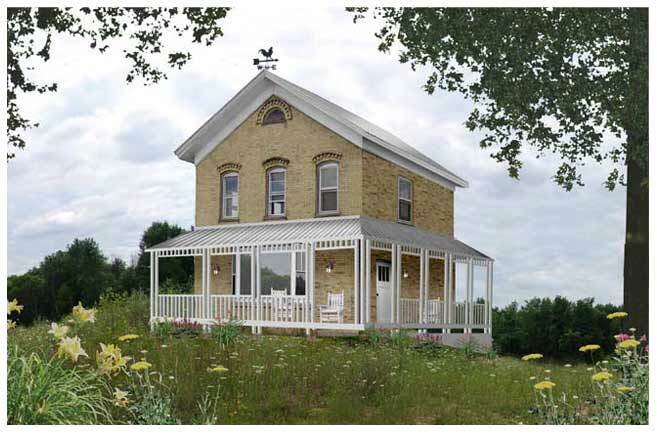 In order to save this existing farmhouse from demolition, the owners were able to recycle the entire home by physically moving it from it’s existing site to their new site, which featured several acres of prairie, woods, and a river flowing through it. They refurbished and remodelled the entire home, and added a wrap-around porch with an agricultural grade tin-roof, along with antique doors and hardware to retain the home’s original character. Construction: completed. 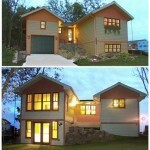 “BUILDING GREEN ON A BUDGET” read full story HERE, and view more slideshow images HERE. This ‘green’ addition to an existing residence takes advantage of solar orientation as well as healthy, non-toxic materials (courtesy of our friends at Healthy Home Reports). Even though the home is located in a close-knit urban neighborhood, this addition affords almost total privacy due to existing trees. The additional is barely visible from the streetside, which helps to maintain the single-story rhythm of the surrounding neighborhood. 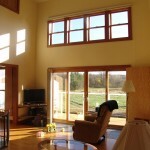 A solar visor along the south and west windows will block the hot summer sun, yet allow the sun to light and warm the interior spaces in the winter. 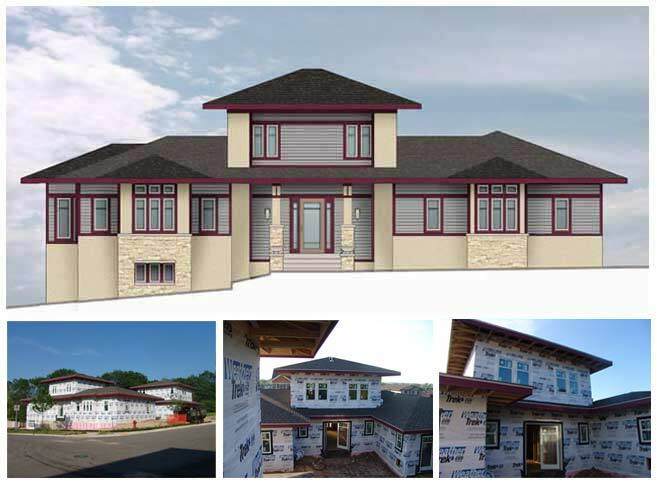 The addition will provide the owners with a new master suite, and a kitchen (complete with walk-in pantry) that opens into the new living space. 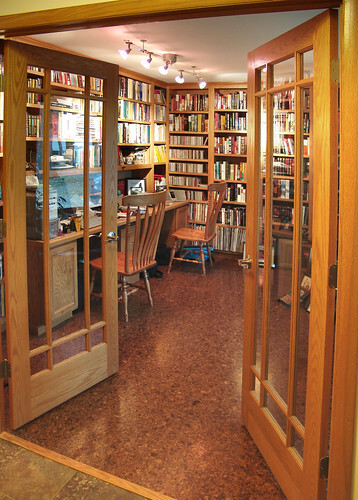 The existing living room will be converted into a study space and library. 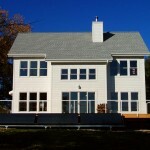 They have shared their story on the Green Built Home website. Click HERE to read more about it (scroll down to “Building Green on a Budget”) and view more slideshow images HERE. For a slideshow featuring more images of this project, click HERE. 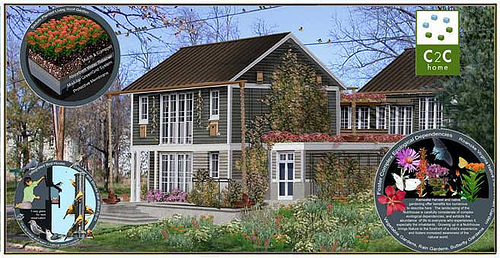 James Kachadorian’s Passive Solar House concept is as close to an ‘open source’ architectural strategy as any. 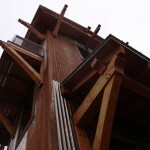 Originally motivated by the oil crisis of the 70’s, Kachadorian developed a technique for building new homes that incurred no additional construction costs, based on completely conventional materials, including concrete blocks and poured concrete. 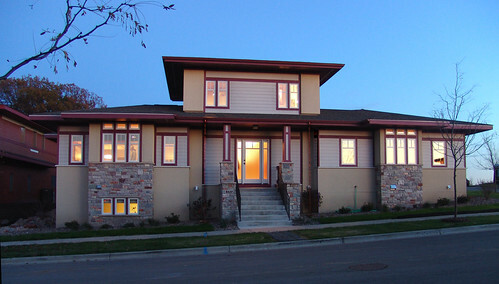 As the patents issued on this solar system expired, Kachadorian essentially turned these ideas over to the public, and wrote a book – ‘The Passive Solar House‘ to ‘make that gift more meaningful.’ The home featured here is built upon the ideas found in this book, as well as direct consultation with Kachadorian himself. 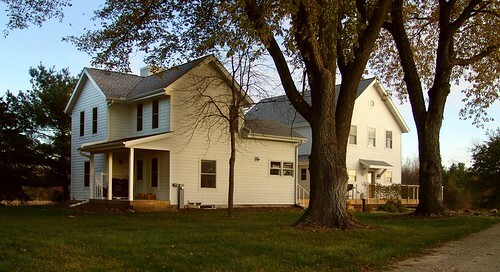 This home consists of an existing farm house, almost every inch of which required total reconstruction with careful consideration paid to energy-efficient construction techniques and mechanical systems. The new addition extending south from this farm house was built using Kachadorian’s passive solar slab technique. Aesthetically, the intention was to build a home that fit well with the timeless rural character of this region, especially that of the existing farm house. 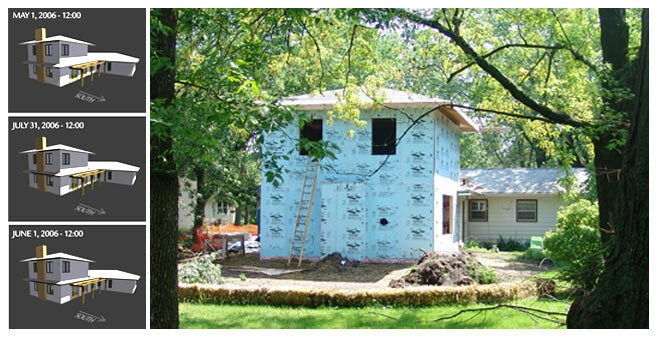 We did so by extending consistent overall massing, roof lines, window types and siding material from the farm house to the addition. 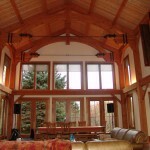 The two elements are unified by a central gathering/entry core. 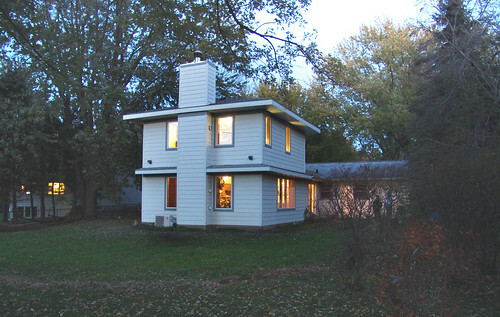 Internally, the addition features an open 2-story central space with a wood stove that can radiate heat throughout all of the spaces in the addition. The tall chimney minimizes creosote build-up and gives the hot chimney pipe a chance to radiate as much heat as possible into the space. 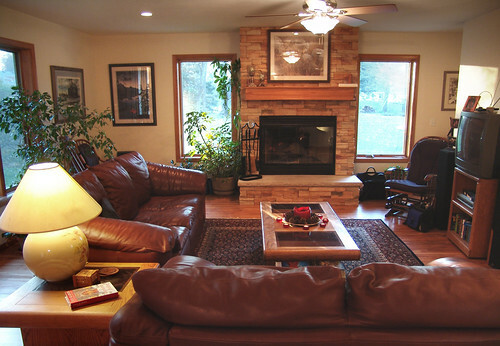 This open central space is flanked on either side by open second story loft spaces that look out over the living room. 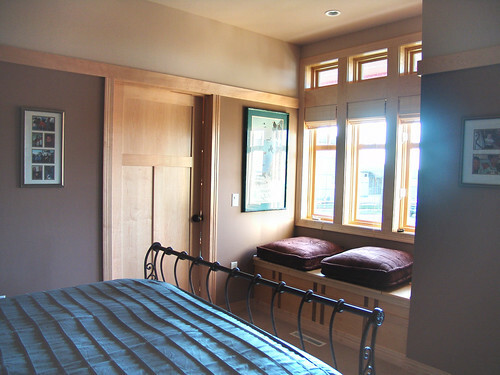 These lofts can be completely enclosed by a series of sliding doors reclaimed from the existing farm house. These open lofts also enable rising heat from the passive solar slab and wood stove to radiate throughout the entire space. 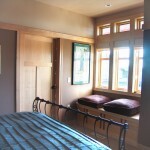 Internal ‘thermo-shutters’ are located on each of the south-facing windows in order to retain as much of the warmth absorbed during the cold winter days as possible. They also help keep the space cool in summer by blocking excessive solar gains. The size and shape of these windows were calculated based on Kachadorian’s guidelines for optimal daylight admittance throughout the year. 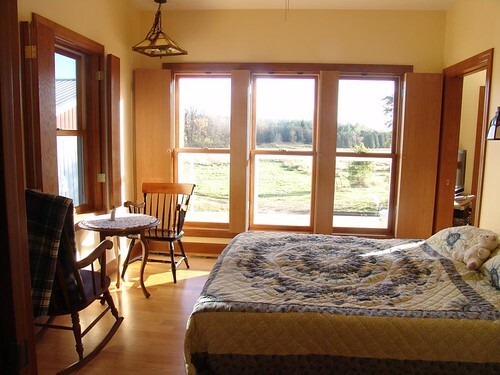 We kept north-facing windows to a minimum, and only installed them in areas that would help offset the need to use artificial lights, enabling further energy savings. The home is currently fit with a solar domestic hot water system, with plans to augment the system with a photovoltaic installation in the future. 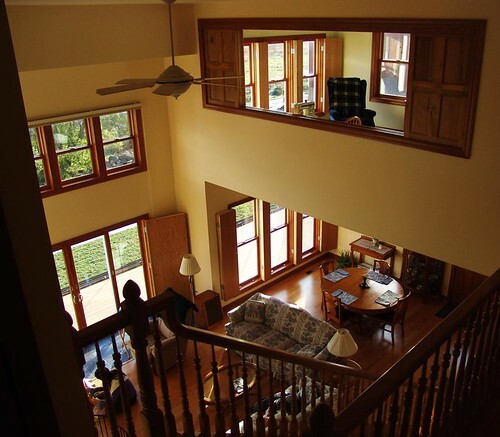 In all, this home is not only a model of energy efficiency and passive solar utilization, but fit well with the family’s lifestyle, the architecture of the existing farm house, and the rural vernacular character of this region. Built by Thompson Custom Builders. Click the image to see more pictures of this project. 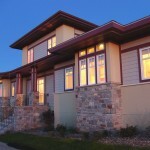 This client came to us, through GreenStar Homes, with a unique, European inspired design concept they had created. 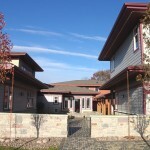 The plan featured a courtyard and entry foyer that directly connects the front entry with the courtyard. It was a pleasure to work with this flexible and well thought-out design. 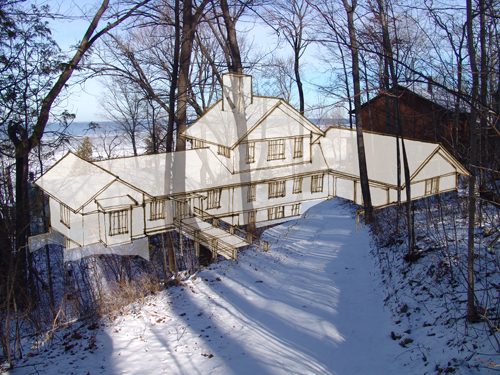 The plan was able to be configured very nicely on a gently sloping corner lot in Middleton Hills. With minimal alteration to the client’s concept, we were able to retain southern exposure in the courtyard, and keep each of the interior spaces in their desired location. 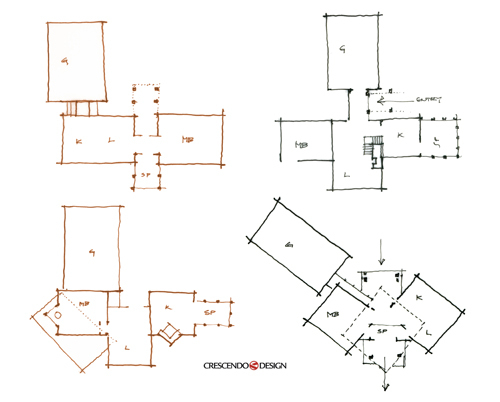 The configuration of the home maximizes the yard space of the site with the courtyard, and creates what is essentially another room of the home. We also took advantage of the natural slope of the site with a partially exposed lower level, where an additional bedroom and naturally lit exercise room were created. 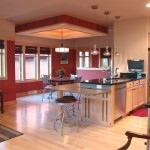 The home truly utilizes the full potential of its beautiful site. In addition to the exposed lower level and the private courtyard (complete with water fountain and European-style granite pavers), this home also features a covered walkway that connects the home to its 3-car garage, complete with a second story guest flat. 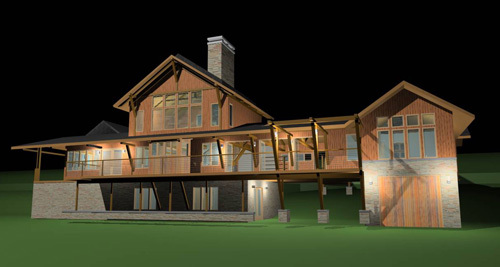 Inside, the home will be very private, as the master suite and away room are separated from the more public open spaces of the living room and kitchen. The away room and master bath will overlook the courtyard, as will the private guest flat across the way above the garage. The office on the second floor of the home will also overlook the courtyard and have a fantastic view of the surrounding area. 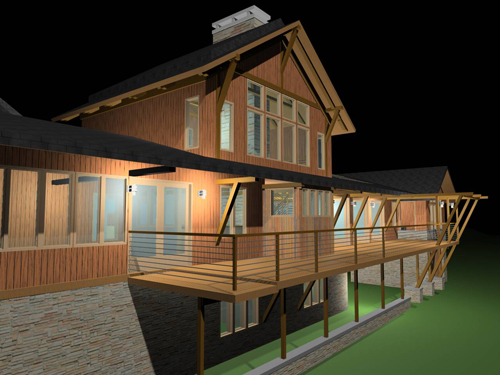 The screen porch will also be a great space to overlook the courtyard to the south and wooded area to the east. 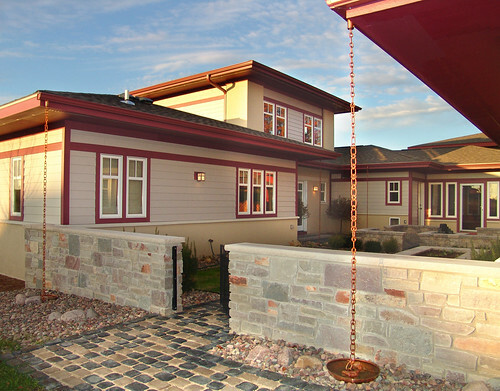 The exterior of this home includes stone, EIFS and cement-board siding, in a composition inspired by the Prairie tradition. This residence successfully blends the American Prairie style of Frank Lloyd Wright and the old-world courtyard feeling of Europe. To see more pictures of this project, click HERE.